City asks, "Why do you love Eau Claire?" The City of Eau Claire has posted a special webpage asking you to leave comments on why you love Eau Claire. The pool of comments will help city officials find out what's important to you. The page also allows you to see the comments of others. For most of us, complaining about where we live (whether its the weather, roads, potholes, or service) is easy or becomes as unconscious and automatic as breathing. For this question, please take time to reflect and appreciate the many fine assets which make Eau Claire a place where you want to live. 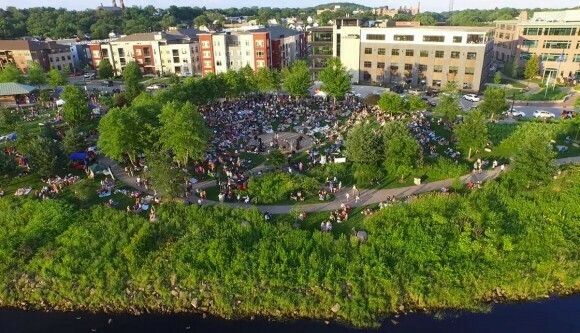 By collecting your thoughts and ideas, we can build upon the things that make Eau Claire a great place to live, work, and play. Think about the things in Eau Claire that make you love it. Consider the places where you eat, shop, walk, bike, the events you love, the rituals you rely on, and the things you would miss if you moved away. Make your comments as simple or as elaborate as you want. Your posted comments will help us create a word cloud to find the things that are most important to you.